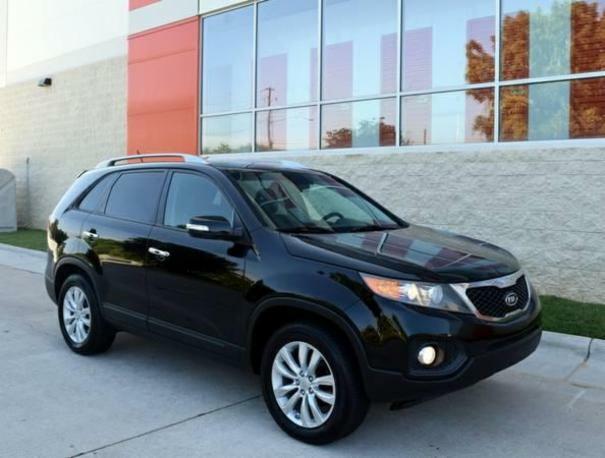 Clean, nicely optioned 2011 Kia Sorento EX: 2 owners since new, 146k miles. 3.5 liter V6, 6 speed automatic transmission, front wheel drive. Options include panoramic moonroof, power heated leather seats, backup camera, keyless go, folding third row seating, 18" wheels, power windows, power locks, power mirrors, premium audio, luggage rack, keyless entry/alarm, traction/stability control, cruise control etc.